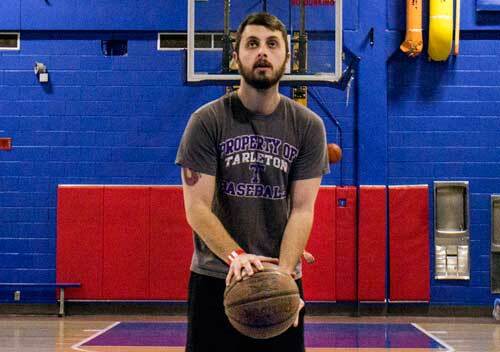 Film and video production major Aaron Davis shoots baskets in OCCC’s gym on March 5. The gym, located in the Wellness Center on the first floor of the Main Building, is free to all students with a valid student ID. Balls are available on-site. For more information, contact the Recreation and Fitness Office at 405-682-7580 or visit www.occc.edu/rf.